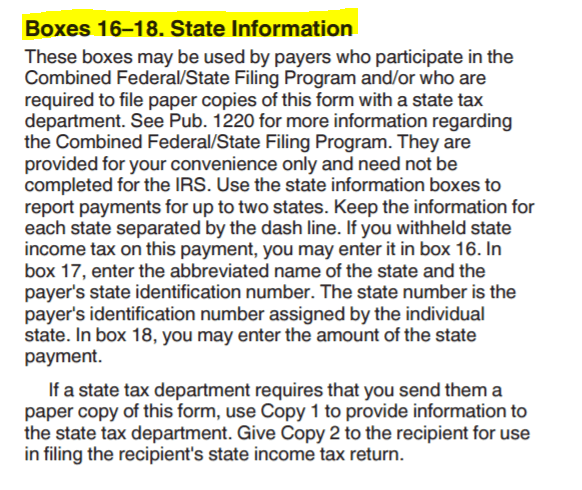 Box 16-18 is state information. QuickBooks does not do state information at all. 1) Print the 1099 and hand write in the state information. 2) Use the internet based 1099 prep software that will allow for state entries.